The LG mobiles are all set to rule the Indian gadget market with the launch of various categories of smartphones in India. This fantastic model comes from global LG Company after LG Optimus 3D mobile. The LG is going to launch a new model in India and that is LG Optimus 4X HD. The smartphone comes with lots of features and specifications. The LG Optimus 4X HD price in India is declared at Rs. 21,000. 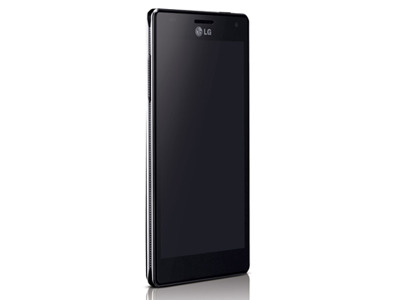 For better response and knowledge about this mobile, the company has published LG Optimus 4X HD pictures on the internet. The LG Optimus 4X HD features reveal that the smartphone operates on Android v4.0 ice cream sandwich OS along with 1.5GHz Quad core processor. The Android phone comes with 4.7 inches HD-IPS LCD capacitive touchscreen display which is providing better image quality. The touchscreen mobile has the resolution of 1280 x 720 pixels and also includes Multi touch input and Touch sensitive controls as display features. The LG Optimus 4X HD is the camera mobile which consists 8.0 MP main camera with Geo tagging and auto focus option along with 3264 x 2448 pixels resolution. The 1.3MP secondary camera is also integrated in this model. Vibration and MP3 as ringtones alerts features are well enabled in the model. The LG Optimus 4X HD which is similar with LG Optimus 3D and is enabled with Li-Ion 2140 mAh standard battery which is offering long hours of talk time and standby time. The touch phone comes with 16GB internal memory and up to 32GB expandable external memory along with 1 GB RAM. GPRS and EDGE internet connectivity features are offering fast internet access services. In the local data connectivity features, the LG Optimus 4X HD has micro USB 2.0 and Bluetooth with A2DP and Wi-Fi 802.11 b/g/n. The video and music players as multimedia features are well enabled in the mobile phone. In this handset a 3.5mm audio jack sound output device is also available for best sound quality. The LG Optimus 4X HD comes with lots of games for lots of fun.